Another Galaxy S4 firmware has been released by Samsung on its Kies servers, and it is now available for download. 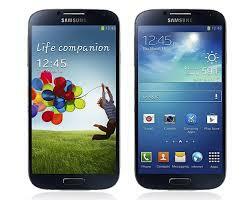 The Galaxy S4 is available for sale in some countries already, and soon more will have it. The firmware is based on Android 4.2.2, with PDA version E300SKSUAMDK and CSC E300SSKTAMDK. You can download firmware E300SKSUAMDK_E300SSKTAMDK_SKT from here. You will be able to use this stock image to restore your official ROM in case you install a Custom one, or if you want to lose root if you decided to do that to your phone. Developers will probably use the firmware image to create Custom ROMs, so if you are familiar with this stay close for the first releases.